Knowing it was time to move into the age of scrolling one page sites, eye catching slide shows and mobile friendly pages, Modern Bath contacted Appletree for a website redesign. Appletree worked with the client to create a website the showcased their beautiful products and services. 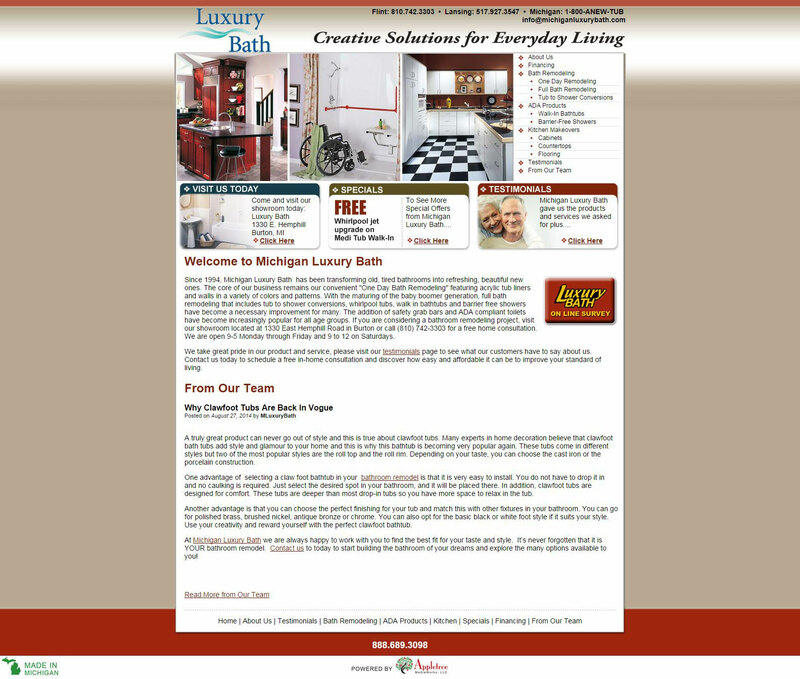 Michigan Luxury Bath has been a long time customer with Appletree MediaWorks. They started out on a directory site website format and came to Appletree in 2010 to move up in the tech world to an HTML Dreamweaver Template based website. As that site and their business grew, they found great success with multiple domains and landing pages to meet their search engine marketing goals. They also utilized Appletree’s SEO services to grow their site traffic.